The papers presented inHigh Temperature Structural Design, ESIS Publication 12, are the reviewed and revised versions of the lectures presented at the eponymous Venice Conference. This conference was deliberately tailored to include all industrial areas where high temperature structural integrity problems are encountered, and an effort was made to cover several different aspects of structural design, including material modelling and experience feedback, and to achieve a cross–fertilization of ideas between different application areas. The twenty two papers are grouped together under four headings, namely Design Practice, Stress and Strain Analysis Methods, damage Evaluation, and, finally, In–Service Experience. 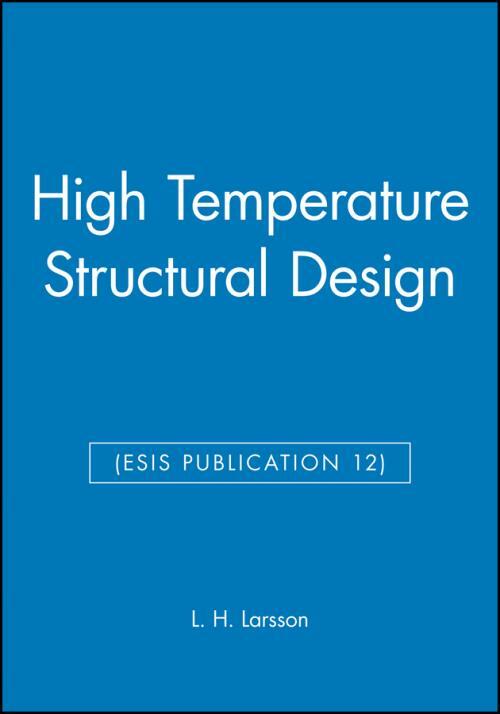 Representing the current state–of–the–art in high temperature structural design, this volume can be wholeheartedly recommended, not only to engineering designers, but also to physicists and to materials scientists concerned with the integrity of structures at high temperatures in all areas of industry.